In Jerusalem there are some 75,000 residents in their "golden years" that are a wonderful treasure of knowledge, generosity, life experience and creativity, and in addition there are thousands of caring youth, filled with life and a drive to bring about real change. The organization "Young at Heart" is building a system of reciprocity between youths from the ages of 15 and above, and senior citizens. As such, intergenerational connections are created in a way that is appealing on many levels: socially, emotionally, morally and in terms of value systems. 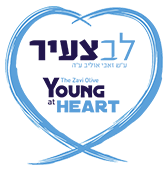 Our vision, is to provide for the individual's need of belonging to a warm, supportive and strong community, through mutual commitment that goes beyond age, from a place of caring, no matter socio-economic background. Shoshi Goldberg and Barbara Schward are residents of Rehavia who are socially active in this community. The idea was born from personal engagement with many senior citizens on the one hand, and with youth on the other. As families that experienced the transition of Aliyah to Israel, Shoshi and Barbara, truly understand the challenges of new immigrants and their acclimatization to Israel, especially that of youths and those in the "golden years". Thus the need arose to create a sense of belonging and mutual involvement between senior and new citizens; youths and adults coming together - as one nation. 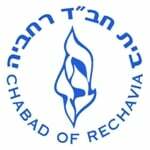 The project runs under the auspices of Chabad of Rehavia and Nachlaot.